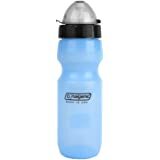 Amazon's Choice for "vapur water bottle"
Super Cap--Flip Cap. Tough-Seal. Easy Open. Ultra Durable BPA-Free 3-Ply Material. Dishwasher Safe. Foldable, portable and flexible. Reusable and Freezable. Wide mouth opening. Simply unscrew the Super Cap from the bottle to reveal the wide opening. 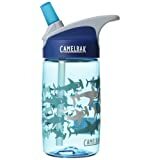 Great for filling and cleaning your bottle! Integrated clip keeps rolled bottles pocket-friendly. The colorful array of .5L Shades will shed light on the way you hydrate. With the durable flexibility of the Anti-Bottle combined with a custom Vapur SuperCap, you're sure to find your perfect "Shade." 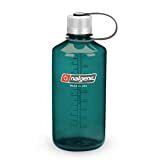 This half-liter is also just the right size to accessorize any purse or pack. 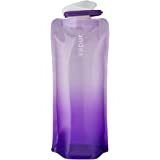 I purchased four of these vapur water bottles in different colors for a family trip to DisneyWorld. The goal was for each family member to carry their own water (and other basic items) for a full day at the parks. We were there in January, so our need for water was not as great as it would be on a hot day in August. 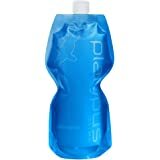 We basically used one entire bottle each per day, plus 1-2 purchased drinks and only on one day, a refill of the vapur at a water fountain. On an average day, the full bottle was enough without a refill. We bought a case of bottled water at an Orlando supermarket for $6 and kept it in our hotel room. Each morning, we filled the vapur bottles. This saved some money and saved us time that might have been spent waiting in line to buy water. The vapur bottles don't look very sturdy, but we used them for a solid week and didn't have a single spill, tear, or leak. The caps stayed shut even though they were jostled around in backpacks for hours on end. 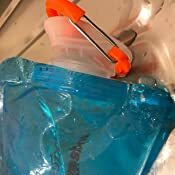 The carabiner clip can be used to wear the bottle, but we just threw ours in our small backpacks. When the bottles are empty, they can be rolled up and tucked into the clip, taking up less space. There was no problem taking the empty bottles through airport security. I am very happy with this item and feel it was a smart purchase. Enough water to last you all day. Very big though and might be hard to fit in smaller bags. 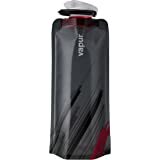 Because of size, it's a little awkward to drink from and is more like a flask. 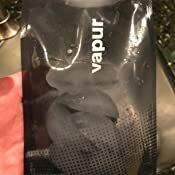 Very satisfied with the quality, Vapur forever. This water bottle fails at its basic function: holding water. 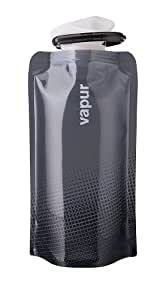 I had been a Vapur fan. 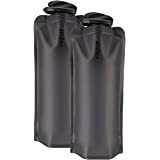 I own their 1L Eclipse and Element containers and have had them for over two years. I took them with me on my first journey into the Peruvian Amazon and they worked well and have since carried them with me on my travels across the world. For my second trip to the Amazon, I wanted a bigger bottle so I wouldn't have to refill as much. I bought two of the 1.5L version and, unfortunately, misplaced my other 1L bottles in a recent move. 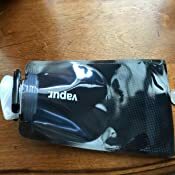 I didn't have time to try them out before my trek to the Amazon, and had faith in the company based on my prior experience. At first, the two 1.5L bottles worked well - folded nicely, held lots of water. But then I started noticing that my bag would be wet sometimes. I thought I hadn't put the cap down right or something. Nope, a few wet bags later and found that the leak was on TOP of the bottle, near where the cap screws in. Huge bummer. I couldn't carry the bottles around anymore and had to rely on the commercial plastic water bottles I had happened to bring with me (thankfully). 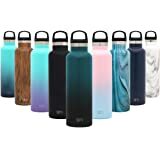 Currently, these bottles can't lay flat or the water will spill out on the ground, I can't put them in my bag or everything inside will get wet, and when I drink from them I have to squeeze the place where they are leaking so the water doesn't spill all over me. Again, this is with BOTH bottles I bought from Amazon. My recommendation is to buy the 1L bottles and steer clear of the 1.5L. 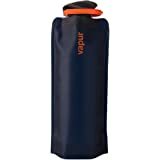 I wanted a collapsible bottle like this for taking to football games or airports empty to fill at a water fountain after security checks. It takes up hardly any space so that is good, and the clip is handy. The down side is that it is a bit difficult to fill completely. It doesn't seem to want to spread out to the full depth, so that means it really doesn't hold very much water. It is also not easy to clean and never seems to dry out when standing upside down with the cap off. I'll still use it for the situations I bought it for, but probably won't bother with it in any other situation. 5.0 out of 5 starsUsed daily for over a year! I've used this water bottle almost every day for 1 1/2 years. 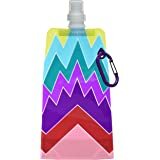 Usually for daily use in NYC, I always carry water with me in the city, to the gym and especially in hot weather - it's easy to clip on to my purse or backpack straps. 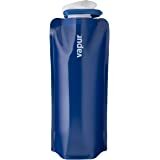 I like that it's a small size for everyday water needs, it's very lightweight, and when it's empty I roll it up and stick it in my bag. I also use it for plane travel and car rides. My .5L bottle held up for a year and a half of very regular use, and it just sprung a leak (seam on the side opened up). I think the quality is great and for under $10 I will happily buy a replacement. Note Vapur offers a 1 year warranty. I used to have the other style, with the more standard mouthpiece, and this version is much easier to close and not leak. Bonus is the mouthpiece cover is attached, vs. the other style comes with a mouthpiece cap which I lost after a couple weeks. I have used many different liquids in here, from crystal lite to flavored vodkas, and the smell never stays. When the bottle is cleaned it is like it is brand new again! 4.0 out of 5 starsnot too big, not too small. 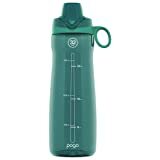 I have a the .7L size, and decided to get my sister this .5L so that she would have an easier time fitting the bottle in her purse. 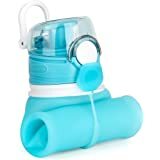 She loves it, but washing it can sometimes be a slight hassle; it is dishwasher safe, but it seems to retain some of the detergent inside occasionally, which leads to a slight taste difference, so we have just been using hot water to wash it out, which works just as well. It's freezer safe, so it's great when you want to freeze some of the water to make it extra cold. It definitely is a head turner, as many people ask where she got it from. 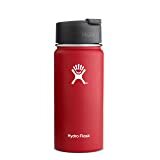 Overall, great for short day trips, as there is just enough water to get through the day, but you may need to refill again if it is an extra long or hot day.